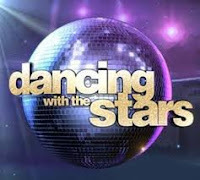 At a time when transgender representation in the media is sorely lacking, Chaz Bono joining the cast of a series like Dancing With the Stars is a tremendous step forward for the public to recognize that transgender people are an important part of the fabric of American culture. Bono will be joined by Queer Eye for the Straight Guy’s Carson Cressley whose current TV series, Carson-Nation is on the Oprah Winfrey Network. The CW Network announced earlier this month that transgender model Isis King and openly lesbian Kayla Ferrel would return for the all-star cycle of America’s Next Top Model. America’s Next Top Model - All Stars. ABC and the CW both received ‘Good’ ratings in GLAAD’s annual Network Responsibility Index this year. 33% and 23% of the networks’ primetime programming were LGBT inclusive, respectively.